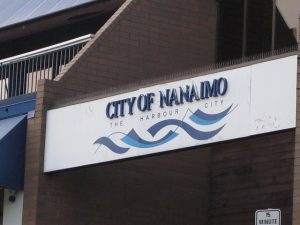 Have you been thinking of moving from Vancouver to Nanaimo? While the distance is not that far from the lower mainland, that kind of move will require additional fees for BC ferries and traveling time. This kind of move will usually be charged by flat rate versus per hour, this way you won’t be paying full cost as the moving truck and crew are sitting on the ferry from Vancouver to Nanaimo and back. Vancouver Island moves can be done in one day as long as your furniture fits into the truck, cases where there is too much stuff to put into a five ton truck are very rare and usually a 1 ton will suffice for apartments and condos. The best way to do this kind of move is to start very early in the morning to avoid traffic jams from Vancouver to the Tsawwassen ferry terminal. Moving on weekdays is also recommended if possible. A good way to get some savings on your move is to consolidate the shipment with another client that is moving to Nanaimo. This is not always easy but in some cases it could save you as much as 30% and an estimator will let you know if we have any consolidated spots available. We also sometimes have some promotions like no ferry fees on the way back from the Island or from the lower mainland. Sometimes you might be looking at moving on the last day of the month and all moving companies will be booked up. If this is the case the solution might be to put your furniture in storage in either cities and take it out when time is available. While this might not be the most economical solution, it will often translate in a smoother move.